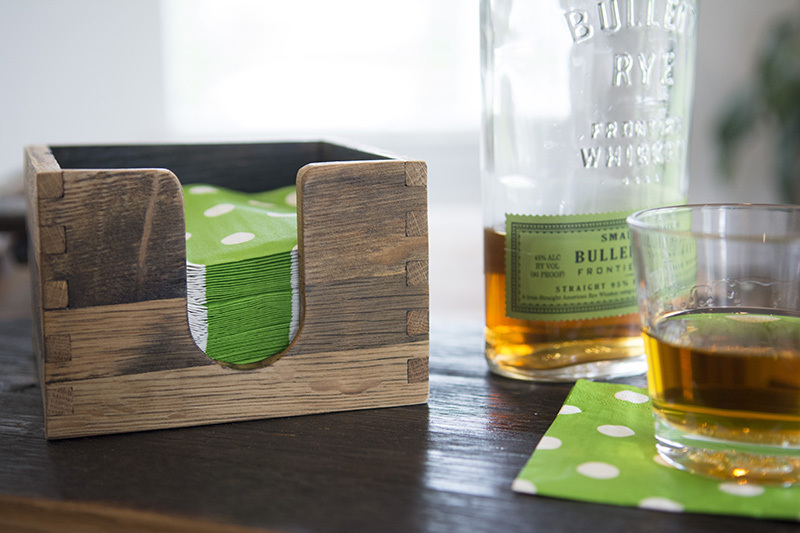 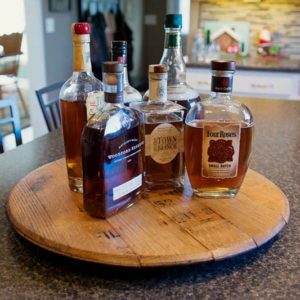 Cocktail Napkin Holder – Highbridge Barrel Co. 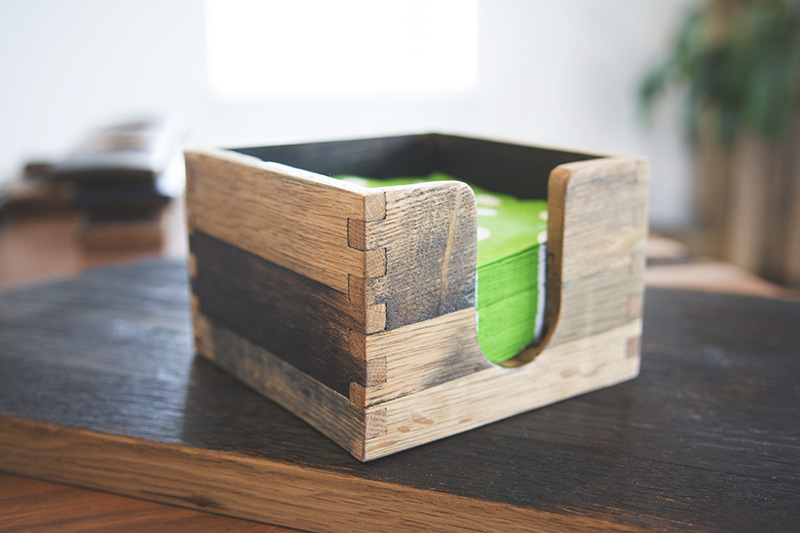 This lovely napkin holder is a re-imagining of all the cutoffs and “scraps” that accumulate daily on the shop floor. 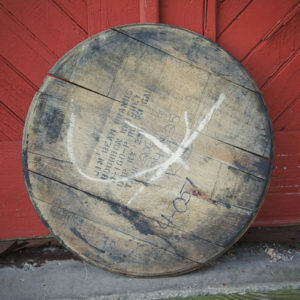 During it’s maturation in the aging warehouses, the barrel wood acquires some intriguing colors and variations. 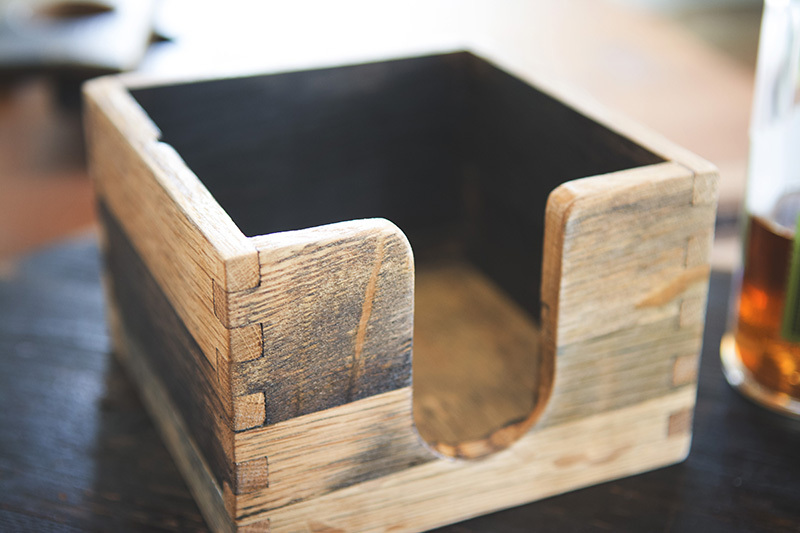 These beautiful “scraps” have been milled into thin stock, glued up in tiny panels and joined together with eloquent finger joints. 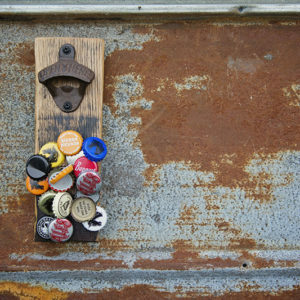 It’s a simple product, with an awesome story. 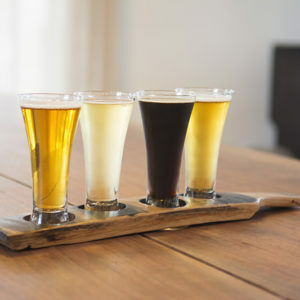 Holds a standard 5″x5″ cocktail napkin.